You're a Cerebus Agent, gone rogue! - As Commander Shepard battles Reapers across the galaxy, veteran Cerberus agent Randall Ezno procures aliens for illicit experiments at a secret facility. But when the Director of the facility goes too far - Randall fights back and vows to bring Cerberus down! Can you fight your way off the hostile Cerberus base and deliver their secret research to the Alliance? Enter a new dimension of Android Gaming - Move freely through massive exteriors and a fully realized Cerberus base. Featuring groundbreaking graphics and intensified audio, enjoy a console-like experience that marks the next leap in Android gameplay. It's you against an army - Harness the fury of high-tech armor and weapons. Unleash biotic powers, stealth cloak abilities and devastating melee attacks. Upgrade your gear and performance with credits – the quicker and more stylish your kills, the more credits you’ll earn. Also, access the bonus Turian mission and escape the medical bay...alive! Impact your Mass Effect 3 experience - Gather valuable intel and upload it to Galaxy at War to boost your Galactic Readiness Rating in Mass Effect 3. Complete the game to increase your War Assets. 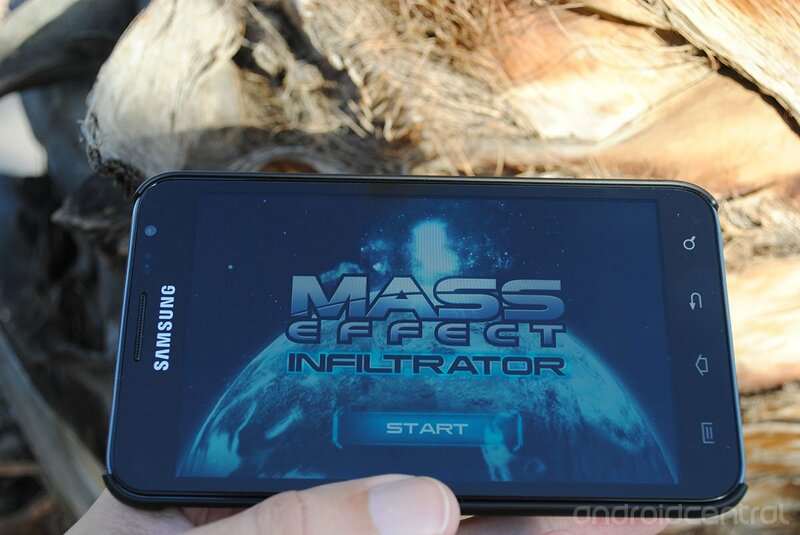 Improve your chances in the final Mass Effect 3 battle – on the go! Crush Cerberus and shape the future of the galaxy. The outcome depends on YOU in Mass Effect: Infiltrator! Electronic Arts has set the price a little high with this one plus, the size of the download may sway some users from grabbing it. Mass Effect Infiltrator is set at $6.99 with the download and additional content coming in at over 450MB once all is said and done. That said though, if you're a fan of the series it might be worth the buy in cost for and SD Card space to you. Download link is below for you all.